August | 2013 | Sonic Smash-Music! The rock band known as 62nd Silence have released their new, standout, flagship EP record album, “Violation of Etiquette.” The album is comprised of five original tracks for an approximate total playing time of 20 minutes. A rocking, passionate rock record of epic proportions, “Violation of Etiquette” is a round and comprehensive treatment to new fans of the 62nd Silence experience, and one that is certain to be considered the solid foundation of future 62nd material to come. The sound of 62nd Silence on “Violation of Etiquette” is unrelenting and aggressive without seeming macho or melodramatic. Their direct, gripping delivery holds the listener’s attention and doesn’t let go, throwing one-two punches with consistent creativity throughout the course of the powerful extended-play album. Their tones are reminiscent of Tool and A Perfect Circle, though neither as abrasive nor as dark. Nevertheless, “Violation…” is packed with powerful minor chords and scales, personal and intimate lyrics, and is overall an extremely intense record. Still, undertones of positive and inspiring energy peek between the lines, particularly in the unlikely titled, “Fading Away,” the melody of which not only climbs, but soars. In the end it is this undercurrent of resilience and determination that prevails in the energetic verve and mood of “Violation of Etiquette.” Fans of high-impact rock music with a shadowy feel and a full heart will be enthusiastic for this first offering from 62nd Silence, this surprise adrenaline burst from Sydney, Australia who walked away with the grand prize from the Mounties Battle of the Bands in 2012. With an ever-more burgeoning clan of fans around the world, and a growing reputation for being one of the most explosive acts to ever burn down a stage, this crew of rockers is sure to fill out concert halls internationally in a very short amount of time. Keep your eyes on them. 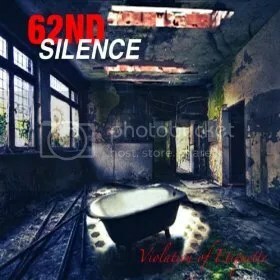 The long-awaited “Violation of Etiquette” by 62nd Silence is available online worldwide. The singer and composer known as Yeshua Alexander has released his latest and most elegant single to date, titled “Question-??? ?,” to worldwide adulation. It has been released on the Flight 77 Music Group record label, complete with a stunning and striking official music video. The track is a digital house song that is perhaps most at home on a full dance floor on a thumping Friday night, but which is also well suited to drives through the city, a walk around the neighborhood, or simple casual listening. A positive, optimistic sounding, feel-good track with verve, punch, and a healthy dose of rhythm, “Question-??? ?” by Yeshua Alexander is poised to take the nightclubs and radio stations by storm. This track is a youthful song full of action and sensuality, pounding percussion and graceful, crystalline piano melodies. It combines traditional keyboard synth sounds and tones with climbing, soaring vocals and direct beats for a well-balanced combination of punch and groove. The effect is one that is both soothing and vivacious, calming and innervating. It is likely for these fine attributes to become a club favorite with longtime house music fans and newcomers to the scene alike, one that will not only fill the dance floor, but also keep dancers dancing. “Question-??? ?” is certain to be the first taste of Yeshua Alexander music most audiophiles will have heard, but it is even more certain to be followed by much, much more. The effortless grace with which Alexander composes his phrases, beats, and measures proves that he has the good taste and innumerable skills to produce high-quality tracks such as “Question-??? ?” at whim. The fast pace and high energy of the song promises that he will follow this already-popular single with a long series of releases, making him a digital music producer to watch for in the coming months. “Question-??? ?” by Yeshua Alexander is available online everywhere. Watch Yeshua Alexander New Music Video Questions-???? 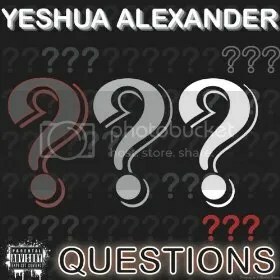 BUY Yeshua Alexander New Single Questions-???? NOW on ITUNES. The singer and songwriter known as Shawn Rae has released his new LP, “A World of Romance: a Time to Fall in Love Again.” The LP is comprised of 10 classic tracks for an approximate total playing time of nearly 45 minutes. A heartfelt, glorious tribute to love in all its forms and permutations, “A World of Romance: a Time to Fall in Love Again” by Shawn Rae is a beautiful and masterful collection from one of the world’s most skilled and tasteful male vocalists today. 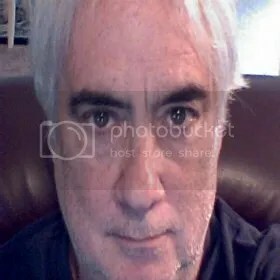 These tracks are sung in Rae’s signature smooth and mellow baritone, for which he has garnered a passionate following over his growing repertoire of LPs and singles. (His eclectic rendition of “The Star-Spangled Banner,” which he sings from his own perspective as an immigrant, is in particular not to be missed.) 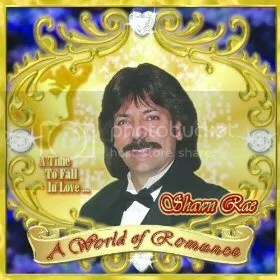 While Rae is an accomplished singer with scores of tracks to his credit, he remains best known for love songs and romance ballads, and in this vein “A World of Romance” is poised to become his flagship, most capital album to date. Also of note is Rae’s remarkable upbringing, which occurred in the foothills of the Himalayan Mountains. His native culture blends Christian, Hindu, Sikh, Muslim, Jewish, Tibetan, and Chinese ancestries. His perspective is perhaps more philosophical than spiritual, though the end is the same: Rae believes in the inherent goodness of humanity, and that with a little conscious attention, people can change the world for the better. Rae has been known for selflessly sharing his royalties and time to help alleviate homelessness, hunger, disease and despair around the globe. “A World of Romance: a Time to Fall in Love Again” by Shawn Rae is available online worldwide. 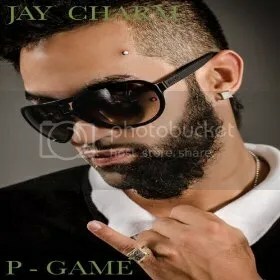 The singer and songwriter of hip-hop music known as Jay Charm has released his flagship EP record, “P-Game,” to widespread approbation and critical acclaim. The album has been released on the King Charm Music record label. It is comprised of six original tracks for an approximate total playing time of 20 minutes. These include “Double Up,” “Life I Love,” “Money Money Money,” “Head Shots,” “Idc,” and “Money Walk.” Considered as a whole, this collection of new music from Jay Charm makes a heavy-hitting impression that is sure to solidify his place in the urban underground as one of the most talented and ambitious new faces in the hip-hop scene today. Jay Charm’s music is more classy than gritty, more intellectual than casual, more up-front than insinuating. His style is slightly aggressive without seeming macho, his delivery direct, his execution razor sharp and almost surgically precise, though he never seems as if it is the slightest bit difficult for him to spit a rhyme in time. His grooves are danceable, but equally suited to listening in the car or through headphones on a walk around town. His themes are sometimes personal, sometimes social, and sometimes even wax philosophical. Charm’s music is both gritty and gentlemanly, real and explosive. This is music for the true and old-school hip-hop fan. Charm’s orchestration on “P-Game” is often epic-sounding, large, and towering above more spacious and open tracks. He has elements of the new and old-schools, and raps over modern digital melodies and the occasional transform scratch at the same time. His closing pair of tracks, “Idc” and “Money Walk” are perhaps his most evocative songs on this EP, the former being a cruise-worthy groove, the latter a poppy, get-up-and-dance song full of verve. For fans of the hip-hop and rap genres, “P-Game” is a record that cannot be missed, and Jay Charm is an artist deserving of much global attention. “P-Game” by Jay Charm is available online worldwide. The Los Angeles band known as Ncircle has released their latest and greatest full-length record album, titled, “Old School Groove.” The album has been released on the Komplete Productions music label. Coming hot on the tail of the single release of the album’s title track, “Old School Groove”, on September 6th of 2012, this staggering new achievement completes what they started with 40 full minutes of classy and excellent music. For fans of jazz, soul, blues and R ‘n’ B who feel as if there hasn’t been a true release of genuine quality in their favorite genre for some time, “Old School Groove” stands as a prime example of refined style, precision playing, and that classic old-school groove for miles and miles. This genuine style is the founding principle of Ncircle (often stylized NCIRCLE). Without baring their soul, Ncircle could not exist. This earnest, honest musical mentality goes all the way to their core. Upon being asked how they became involved with music, they respond clearly and concisely. This is clear by the time the listener gets halfway through the first track of “Old School Groove.” Nobody can write music this way unless the music is speaking to the artists, and no artists can play music like this unless the song is speaking directly through them. Ncircle cites as main artistic influences legends such as War, Tower of Power, Heat Wave, The Gap Band, Earth Wind & Fire, Kool & The Gang, BB King, Bobby Blue Bland, and Bob Marley. 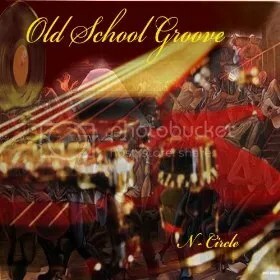 “Old School Groove” by Ncircle is available online worldwide. The singer and songwriter known as Jerry Hudson has released his latest single, “Every Life Tells a Story.” The single has been released on the Hudsong music label. An interpersonal, deeply compassionate song, “Every Life Tells a Story” by Jerry Hudson is one of the most heartfelt and humanitarian songs released this year, as well as a quality release from one of the world’s most genuine writers. Having been inspired to play and write music at the tender age of 17, Jerry Hudson began making tunes after having been introduced to the Beatles. He cites as main artistic influences such legends as the Beatles, Vangelis, and Phil Keaggy. “Every Life Tells a Story,” however, lies more within the genre of traditional folk music. It has few frills, its main attraction being the direct and meaningful delivery and songwriting of Hudson, himself. His vocal and instrumental execution are gentle and sympathetic, and precise without being overwrought. His music is important on an artistic and cultural level because it speaks with deep roots on the human condition, itself. Hudson’s knack for speaking pure and unadorned, ungilded truth can be seen even in his regular correspondence. Upon being asked to describe the themes explored in “Every Life Tells a Story,” he speaks concisely. “Your face is like a map that looks into your soul,” he comments. His official bio is likewise earnest and endearing. For the audiophile there are few treasures like Hudson’s most recent release. It is increasingly difficult in this era of popular auto-tune and free mixing and mastering software to find an artist with such an unadulterated and beautiful approach to songwriting and performance. Listeners are encouraged to find him sooner rather than later. “Every Life Tells a Story,” by Jerry Hudson, is available online worldwide. 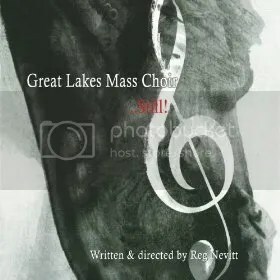 The Great Lakes Mass Choir have released their astounding collection of worship and gospel music, “Still,” to widespread delight and approbation. The album has been released with fully 22 original compositions with a sparkling, remarkable production for an approximate total of two full hours of excellent inspirational listening. These stunning arrangements have been written and directed by Reg Nevitt, who has led this enormous crew of titanic talents to a magnificent result that few choirs (or philharmonics) have accomplished. The album is first and foremost a Christian work of ecclesiastic praise and evangelism, one which never strays from its noble goal for a moment. Though “Still” is a staggering achievement of musical art, it is neither showy, nor self-interested. The quality of the music comes from the earnestness of each instrumentalist and choir singer, which each track communicates with sterling clarity. It is impossible to hear “Still” without picturing a loving God in attendance. Many tracks on “Still” are placid, full of spaciousness and quiet, making for calming and peaceful listening. Many others, however, are packed with the lively power and passion of Christ, and these form the mainstays of the album. Some tracks, like “And We Worship,” include nearly every element of modern music for an epic wall of sound that inspires a good deal of awe. “Still” has its musical heart in several genres, but stands out (and quite tall!) in the Pentecostal, soul, and funk categories. Track 12, “God Will Make a Way,” and 14, “You’re Gonna Need Jesus,” are even wonderfully reminiscent of James Brown’s famous rendition of “The Old Landmark.” “Jesus, You’re Able” is a better example of driving, groovy funk than has likely been heard by most listeners in many, many years. Nevitt cites as main artistic influences a long list of legends, including Andre Crouch, Walter & Edwin Hawkins, Dottie Rambo, Lee Roy Nevitt (his father), Tramaine Hawkins, the Hinsons, the Goodmans, the Lanny Wolfe Trio, and Nancy Grandquist. The sound this bevy of geniuses inspires in Nevitt is varied. Whether the music fan be saved or lacking spiritual salvation, there is absolutely no reason to miss this pearl of a record by some of the most charismatic singers and players in these United States. “Still” stands as a monumental example of what very fine works the church still has in store for humanity, and music fans should give it a fair and righteous listen, be they sinner or saint. “Still” by the Great Lakes Mass Choir is available online everywhere.